Now that we are a few weeks into June I thought it was time to check in on our New Year's Resolution list. 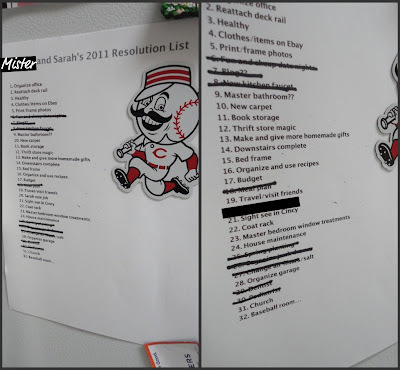 The Mister and I complied a list at the beginning of 2011 and placed it on our fridge for a daily reminder of what we were working towards. 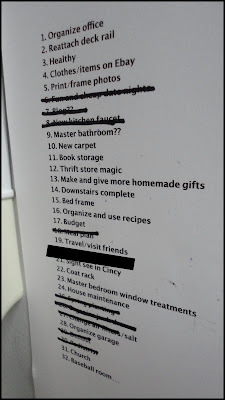 By January, we felt we had lived in our house long enough to determine what projects/areas we wanted to tackle in the upcoming year. 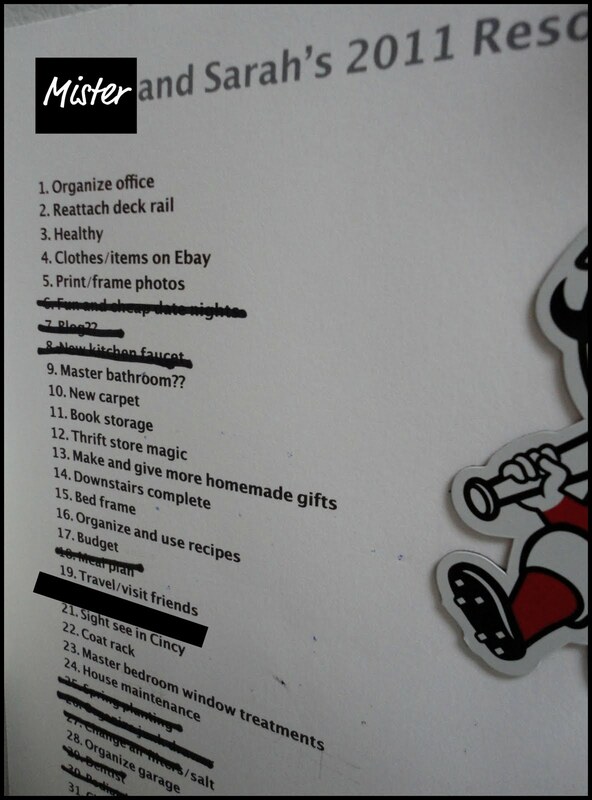 Other than house projects, we also included fitness, health and organization goals. If you know me, you know I love a good list. And even more than a making a list, I love crossing things off a list. We have successfully accomplished about a 1/3 of our list. Some of the items on the list may never get fully crossed off but are things we are constantly working towards. If we counted those items I would say we are closer to 1/2 way done. These items include: budgeting, eating healthy, traveling to see friends, etc. All in all, I have to say I think we have done pretty well! 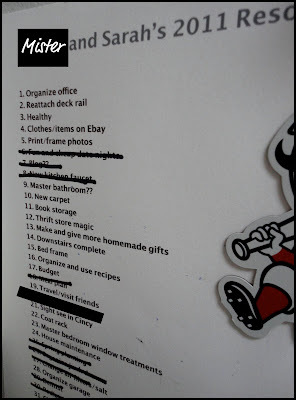 Sarah at Everyday Easy recently wrote about her to-do list(s) and how she has a 'need' to do and a 'want' to do list. I love this is a fantastic idea! I think next year we will separate our list like this and also be working toward our 'wants'. There are definitely things that we have thought of after we made the list and have been trying to tackle those as well. It may be a never ending process but I love it and it's fun to tackle these items with the Mister. Did you make a resolution(s)? How are coming along? We have about half of our 2011 goals completed. Some are ongoing such as go to church twice a month, but so far this year we have been on track!